Sesame seeds or til and their nutty flavour have won the hearts of many in the kitchen. These seeds have long been known for their health benefits and medicinal uses, apart from adding flavour and crunch to a dessert, dish or salad. Turns out, sesame seeds also help burn belly fat and lose weight, the healthy way. These seeds come packed with nutrients including protein, fibre, iron, vitamins, and omega-3 fatty acids that help promote healthy skin and hair, flush out toxins, balance the hormones, support cardiovascular health and help cut the bulge. Moreover, they contain two unique compounds, sesamin and sesamolin, powerful lignans that have been proven to lower cholesterol, prevent high blood pressure, and help with weight loss. We tell you what makes sesame seeds the ultimate condiment that could help lose weight and burn belly fat. Sesame seeds are high in dietary fibre content. It is known that about 100 grams of sesame has over eight grams of fibre present. Fibre plays a crucial role in weight loss as it helps contribute to a healthy digestive system. Moreover, fibre-rich foods help keep your tummy fuller for longer, thereby, preventing you from overeating or binge-eating. Fibre also helps the sugars and fats you eat, to enter the bloodstream at a steady rate, keeping your blood sugar levels in check. As a result, you avoid a sudden crash that can cause you to feel hungry again. Sesame seeds are low in sodium, which make them helpful in regulating body fluids and prevent fluid retention in the body. Sesame seeds are rich in lignans that may help burn fat as they cause the body to release more fat-burning liver enzymes. Moreover, lignans are said to inhibit the formation and absorption of cholesterol and decrease fat metabolism. Sesame seeds or til are known to be an excellent source of protein, which helps increase your metabolic rate and curbs hunger, thereby avoiding excessive calorie consumption and aiding weight loss. In fact, fibre-rich foods can help you lose fat but maintain muscles. 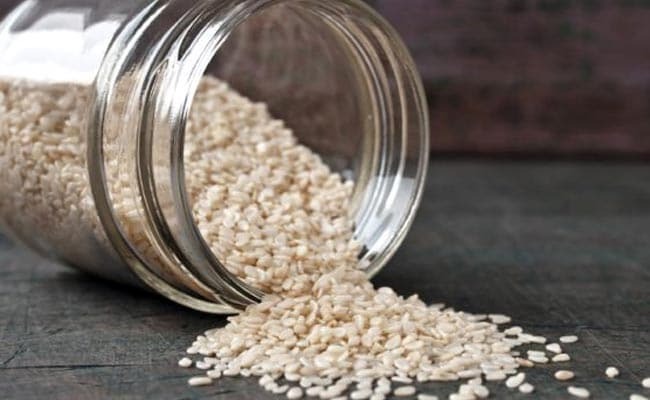 How to use sesame seeds for weight loss and belly fat? According to the book Healing Foods by DK Publishing, scatter the seeds on steamed vegetables, or add them to salads, stir-fries, baked goods and sandwiches. Include them in your desserts and dishes and enjoy the crunchy goodness that will help you lose weight. Don't forget to eat a balanced diet, engage in exercises and physical activities and lead a healthy lifestyle.